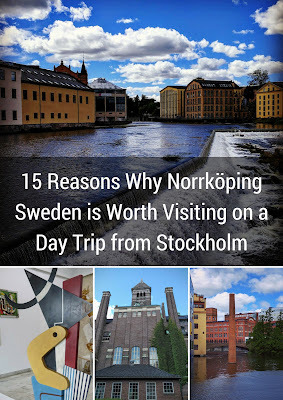 I recently visited Norrköping, the 9th largest city in Sweden, by train for an action-packed day trip from Stockholm. Capital cities are great and as you saw from my last post, we enjoyed our time in Stockholm immensely. Day trips are a fantastic way to establish a home base and experience a place further afield. 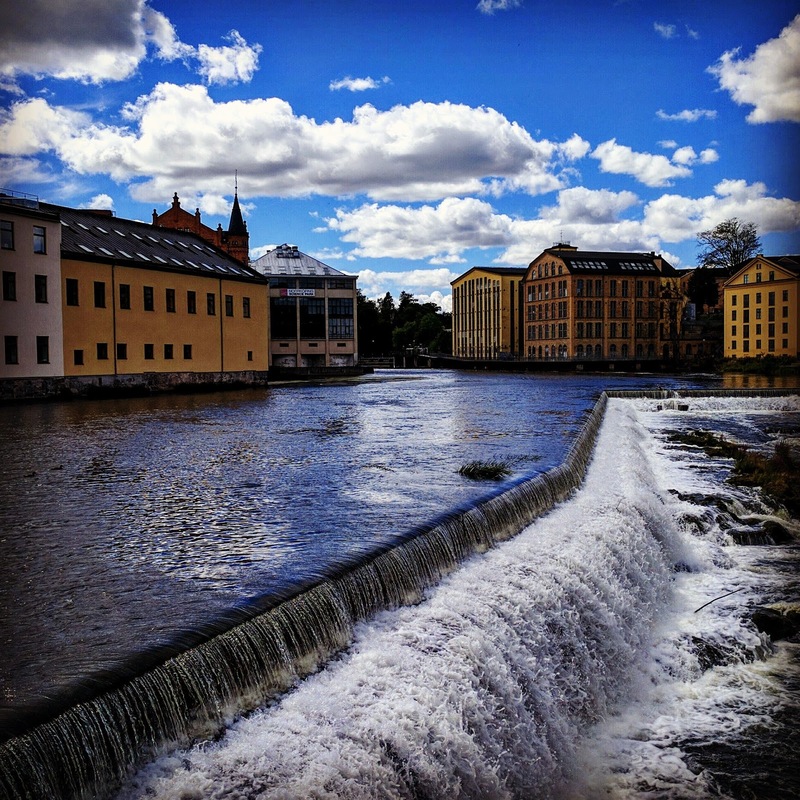 Norrköping is a microcosm of Swedish history from the Bronze Age to present time. 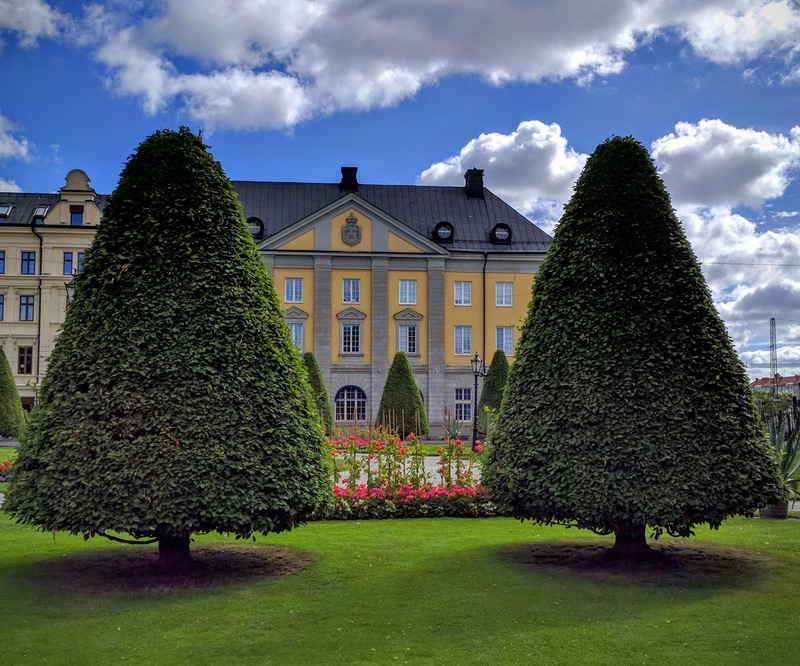 Here are fifteen reasons why the Swedish city of Norrköping is worth visiting on a day trip from Stockholm. Norrköping features a lovely green park just outside the town center and is home to 25,000 cacti. 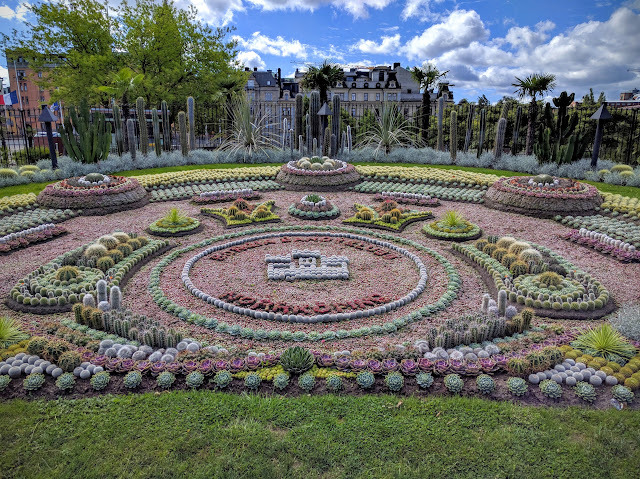 See the town crest fashioned out of desert flora just a short walk from the train station. Swedes like their royals and we spent a fair amount of time with our guide Åsa discussing Carl XIV Johan in the shadow of his statue in Norrköping. 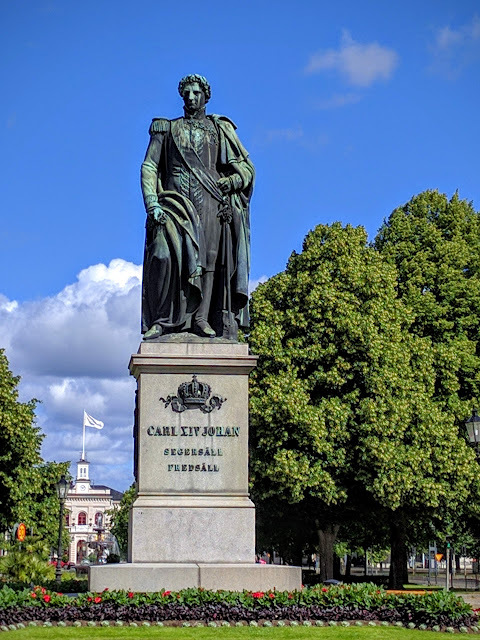 He rose through the ranks of Napoleon's army in France and ultimately came power in Sweden when the previous king failed to produce an heir. 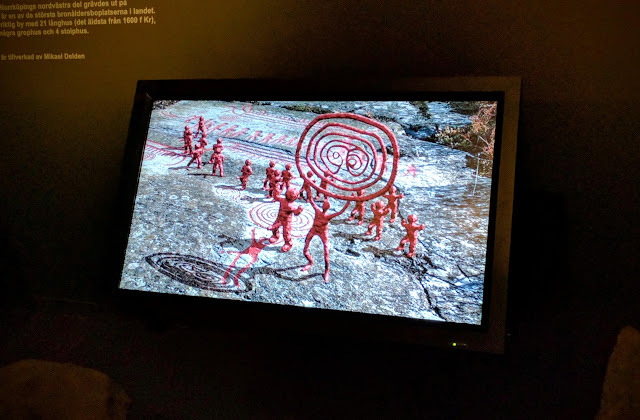 Stepping back in time, we explored Norrköping's Bronze Age history. In a park just outside the city and surrounded by soccer pitches and other modern day recreation lies an extensive set of stone carvings. 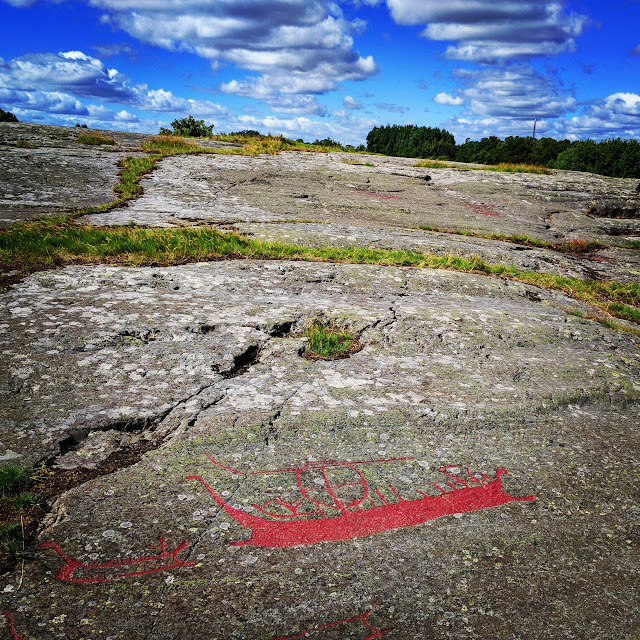 Highlighted with red paint to make the carvings easier to see, we saw scenes from ancient Norrköping featuring massive boats, daring hunts, and important rituals. The Norrköping Stadsmuseum continues the story of Bronze Age history in the Östergötland region of Sweden. The carvings are brought to life in 3D on a TV screen in the museum. As we walked through the rooms, we got a glimpse at all periods of Norrköping's history including a walk through a medieval village. The Norrköping City Museum also gives a nod to the town's industrial past. Norrköping was a center of the textile industry in Sweden during the 19th and 20th centuries. 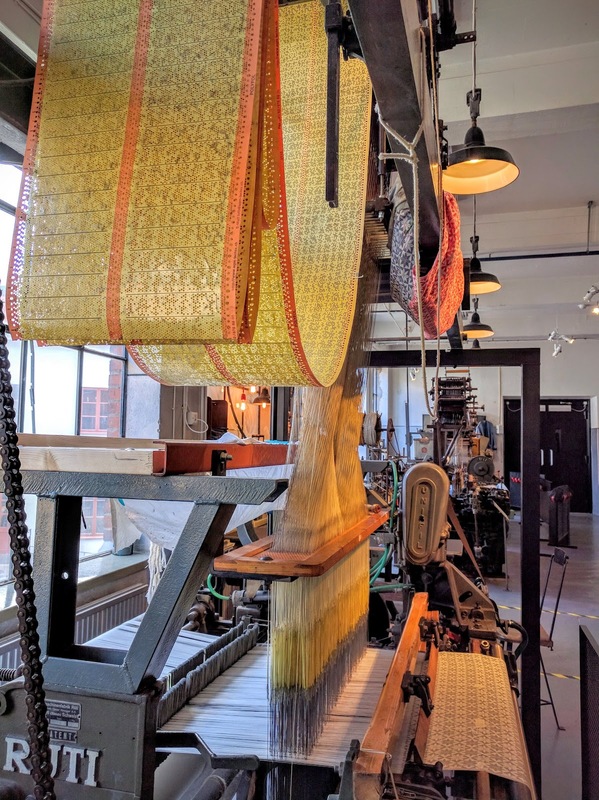 It was fascinating to see some of this historical equipment still in use. There is one lady in Norrköping who continues the craft to this day making all sorts of lovely woven items. 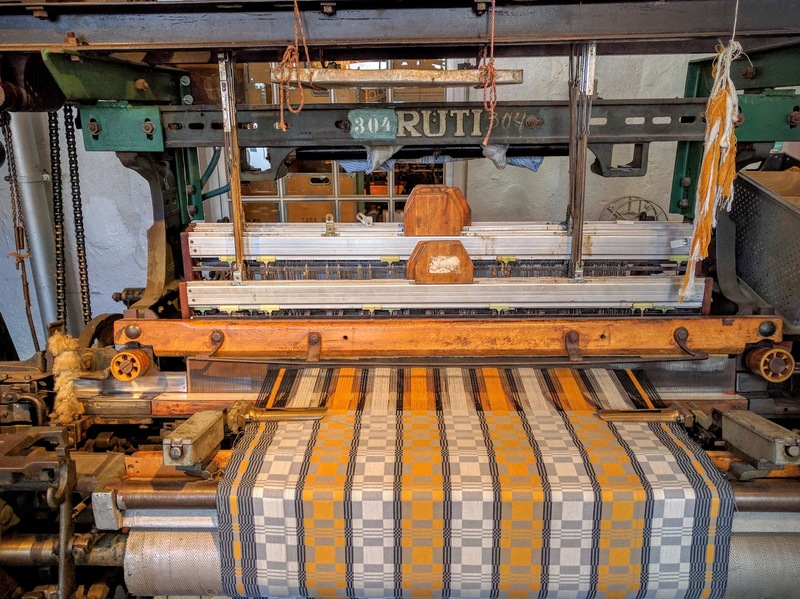 Our guide, Åsa, pointed out that you could argue that these weaving machines are the world's first computers. The pattern was punched out on a series of cards and then run through the machine to turn the creation into reality. Many of the sights in Norrköping seem to revolve around the old industrial quarter. We were taking a walk from the Norrköping City Museum to a restaurant for lunch when all of a sudden I heard a tremendous roar. We rounded a corner and were faced with a stunning waterfall. These waterfalls provided much of the hydroelectric energy fueling the manufacturing sector in Norrköping. Beautiful and functional! Everywhere we walked around the industrial quarter in Norrköping, there were waterfalls. This walk was definitely highlight of our day in Norrköping. 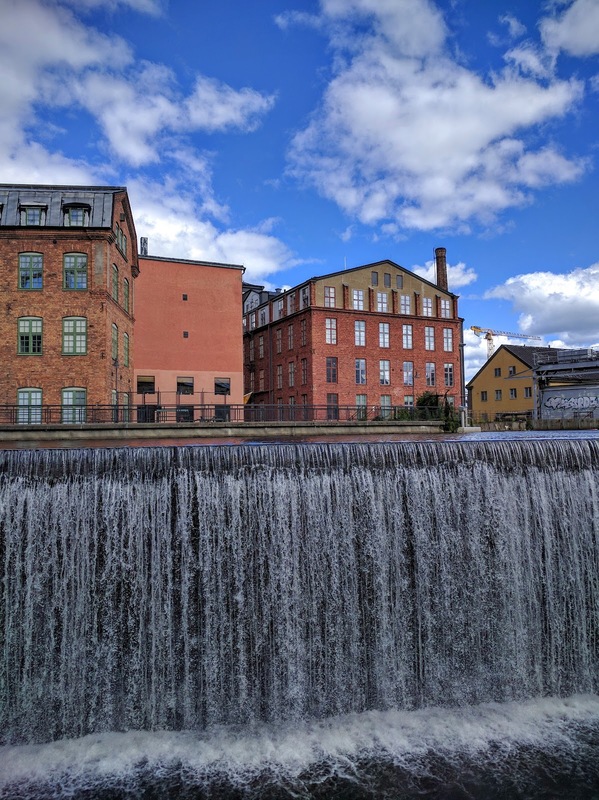 Waterfalls aside, the old industrial architecture in Norrköping also provided some fantastic photo-ops as we walked around. Footpaths line almost the entire industrial complex and a walk around Norrköping is a great way to spend an afternoon. Åsa pointed out one building in Norrköping's industrial quarter that looks like a church but is really an old manufacturing facility. 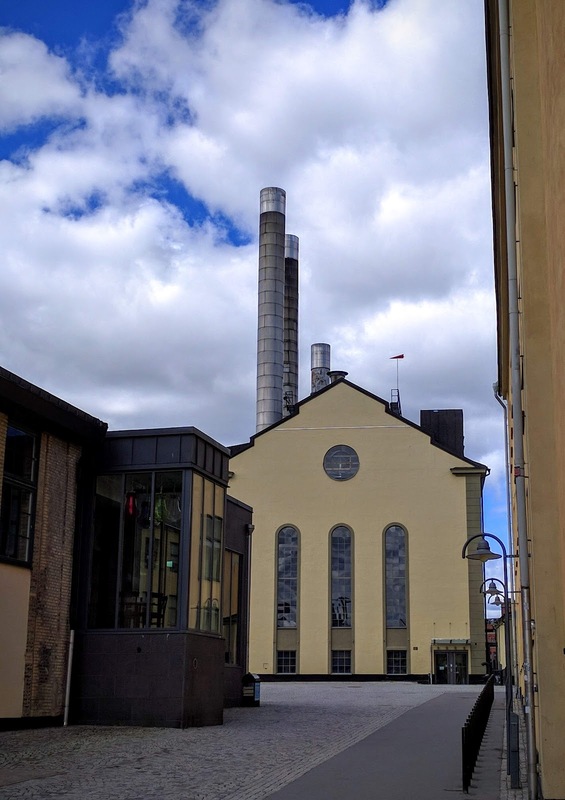 Those living in Norrköping affectionately call it the Steam Church because of the four smoke stacks emerging from the building. Smokestacks abound in Norrköping but most are dormant now that heavy industry has largely moved out. We did see one very unusual smokestack though partially submerged in the water in front of a new apartment building. Apparently, this is not the long lost remnant of a long flooded plant but rather a work of art put here in Norrköping explicitly. 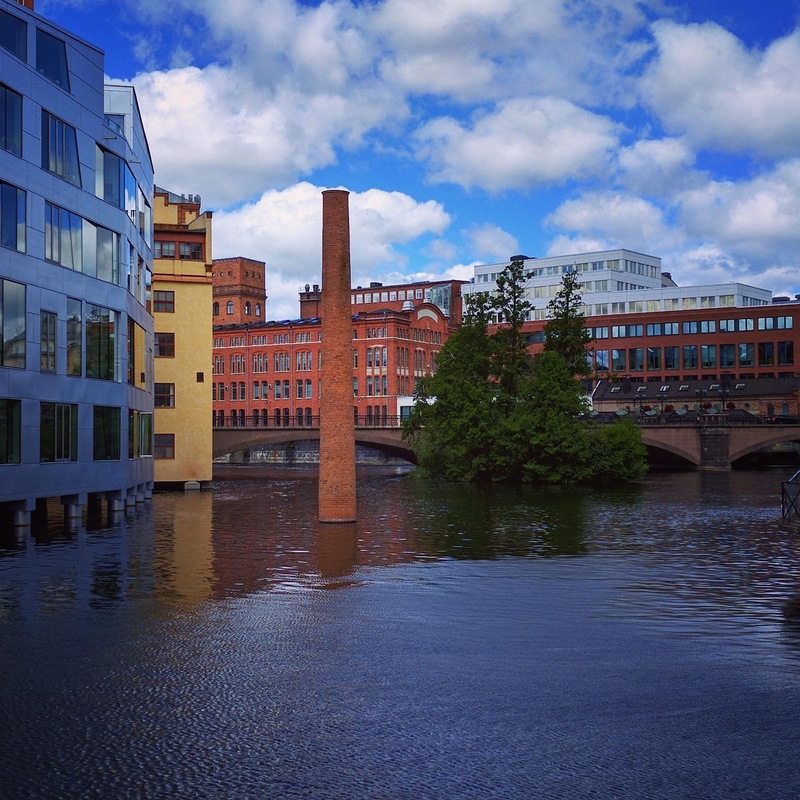 The smokestack is controversial among the locals of Norrköping but in my opinion, it works. We visited Norrköping on a Sunday and the shops were all closed and very few restaurants were open. 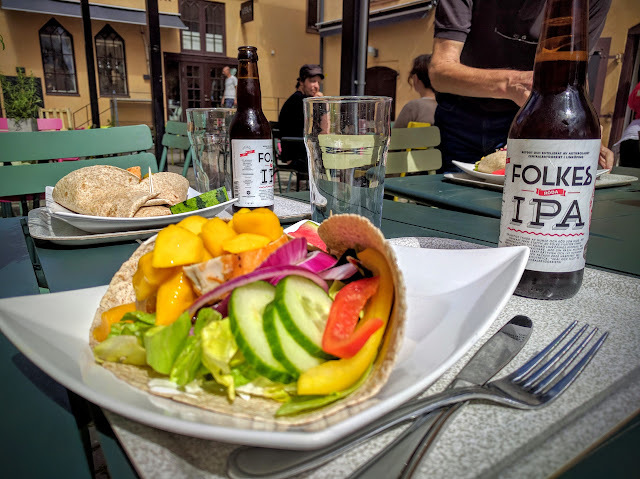 We enjoyed healthy wraps and craft beer from Hälsofreak. The sun was shining brightly and we had the chance to dine al fresco. 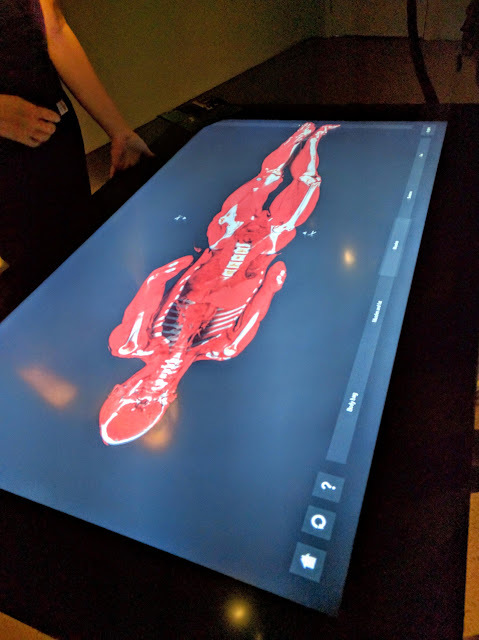 After lunch, we continued our exploration of the various museums of Norrköping with a visit to Visualization Center C. Åsa arranged for a student to take us upstairs to see the autopsy table. Using the touch screen, we were able to peel back the layers of 3D human cadavers that died in different ways. It was fascinating to behold and definitely not something I was expecting to see in Norrköping that day! Norrköping is just full of surprises. The Museum of Work (Arbetets Museum) was another fascinating stop on our tour of Norrköping. The museum housed a variety of interactive displays. One was a conveyer belt of products used in Swedish life through the ages. The Museum of Work also featured a gallery focused on political cartoons. The Arbetets Museum was another quick and fascinating diversion 30 minutes diversion in Norrköping. 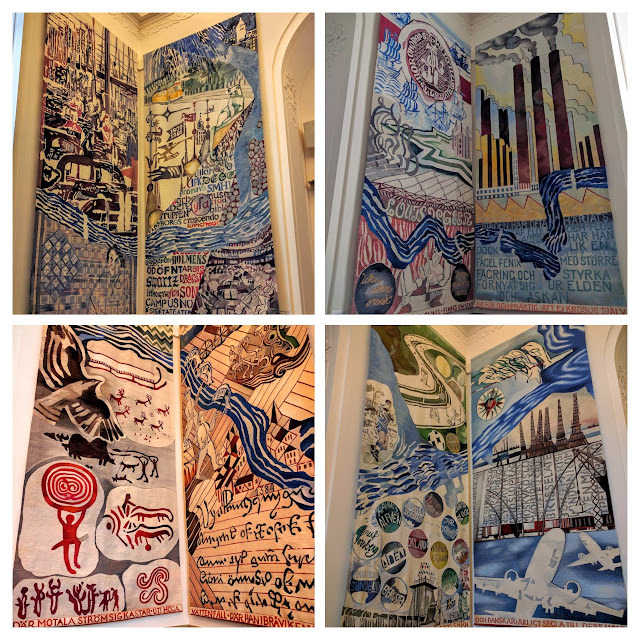 Our final museum stop of the day was at Norrköping's modern art museum (konstmuseum). The exhibits were fascinating and highly interactive. We loved watching these black rubber creatures come to life in a mist filled room just outside Norrköping's city center. Someone even created a sculpture from empty cans. Apparently, the artist ate the food in all the cans personally. The Norrköping Konstmuseum exclusively features works by modern Swedish artists. We concluded our visit to Norrköping on top of the world...literally...with a trip to the bell tower at Norrköping's City Hall. Our tour guide, Åsa, had the keys to the city (hall) and brought us around for a tour first. Portraits of past city council chairs lined the walls. 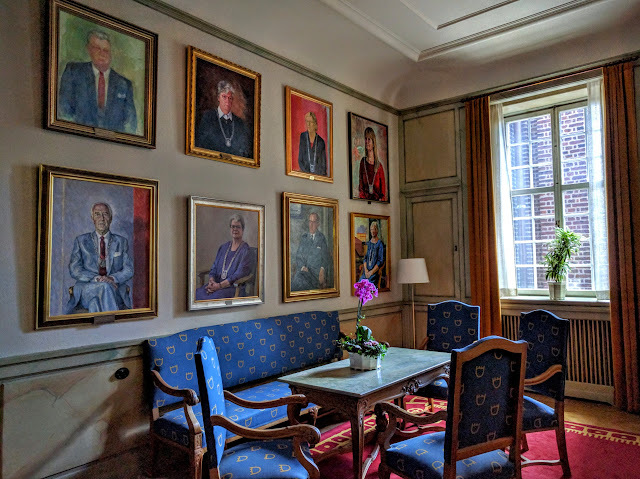 Åsa took us into a sitting room lined with eight tapestry panels. Each panel told a portion of Norrköping's history from the Bronze Age to the present day. You know the best part of this interlude in Norrköpings Rådhus? We got to hear about the history highlighted on the panels while drinking coffee and eating homemade cake that Åsa made especially for us. Delicious! This impromptu Swedish fika simply made my day. We walked off the calories from our fika with a trip up a long and winding staircase. We arrived in the Norrköpings Rådhus bell tower three minutes before the hour. At 4 pm on the nose, the bells let off a resounding gong. 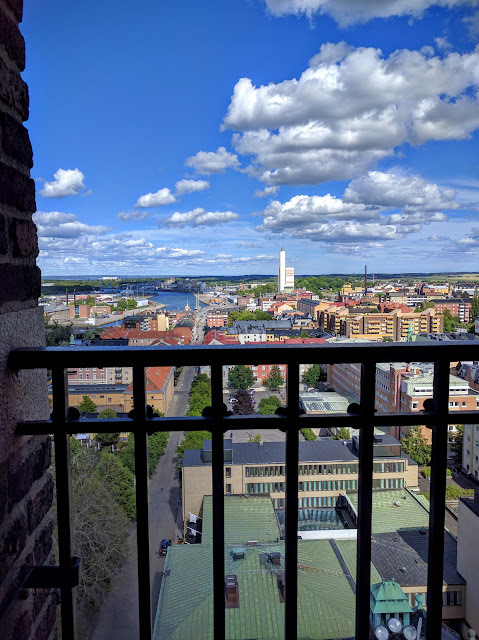 We looked out over Norrköping and reflected on our jam-packed and educational day trip to Sweden's 9th city; an easy journey to Stockholm by train. 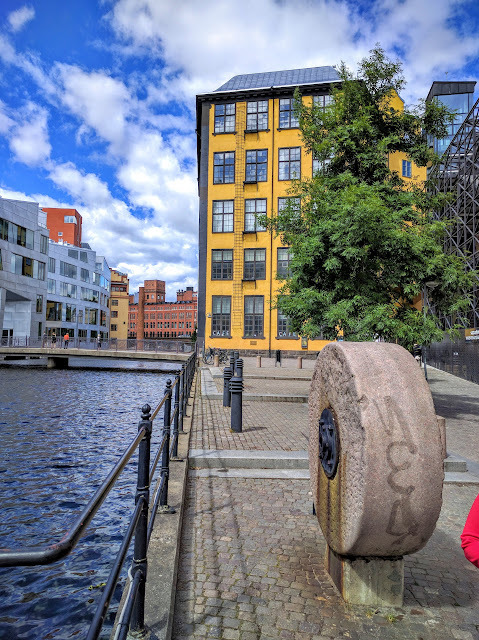 Disclaimer: My tour of Norrköping was sponsored by Visit Sweden as part of the Travel Bloggers Exchange Conference (TBEX) but the views expressed in this post are my own. Images from this Sidewalk Safari Blog Post by Jennifer (aka Dr. J) from Sidewalk Safari Blog are licensed under a Creative Commons Attribution-NonCommercial-NoDerivatives 4.0 International License. 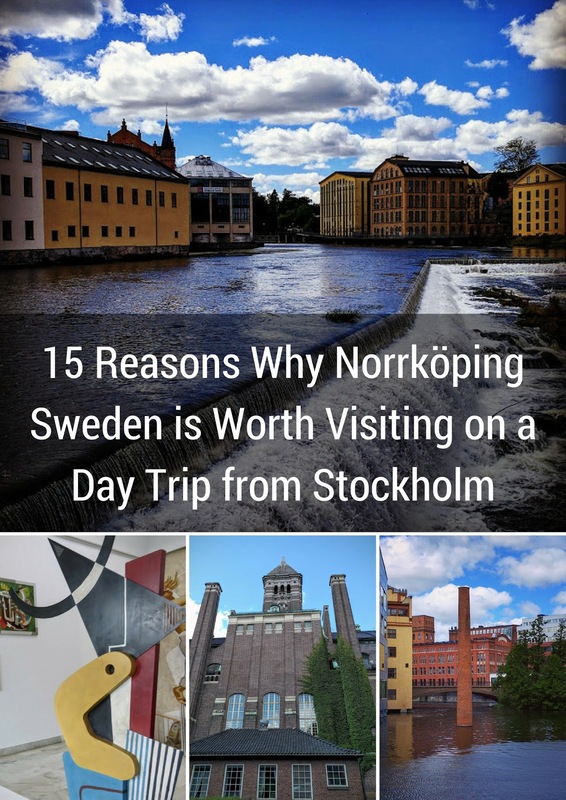 Learn more about things to see and do on a day trip to Norrköping, Sweden from Stockholm. A photo-rich post by travel blogger, Jennifer (aka Dr. J) from Sidewalk Safari.